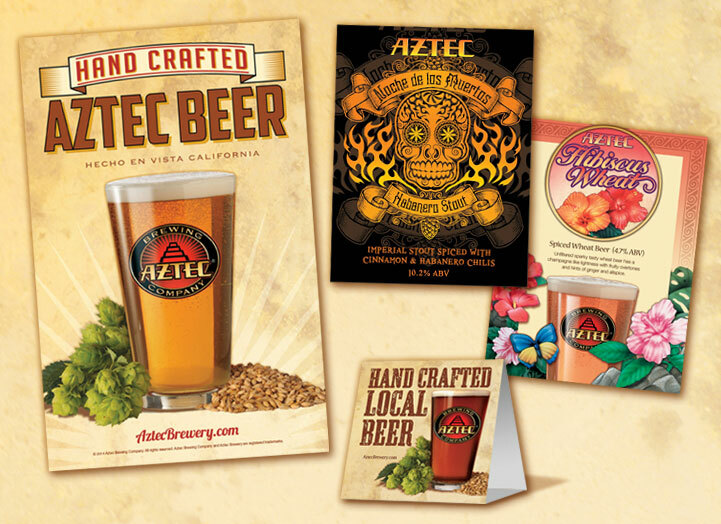 The original Aztec Brewing Company was founded in Mexico during prohibition and moved North to San Diego in 1933. 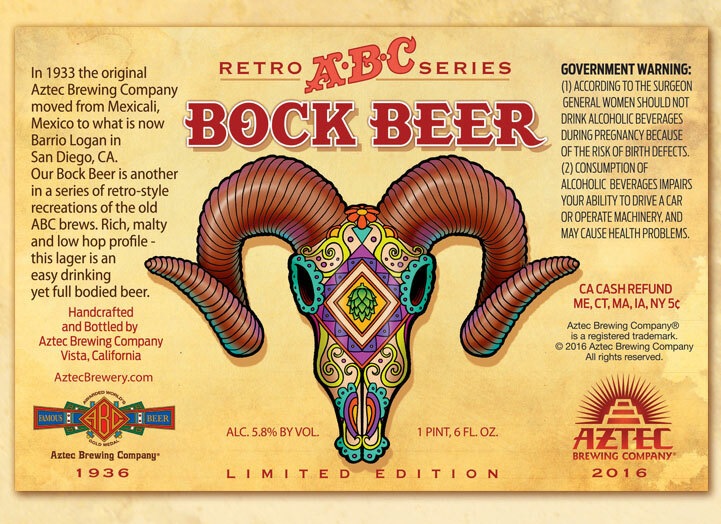 It was purchased by the Altes Brewing Company of Michigan in 1948 and the brand was abandoned. 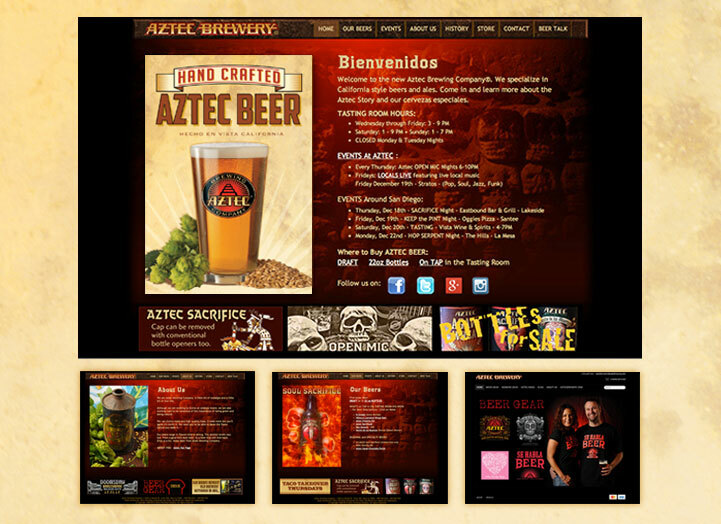 In 2011 it was revived as a San Diego county based micro-brewery. 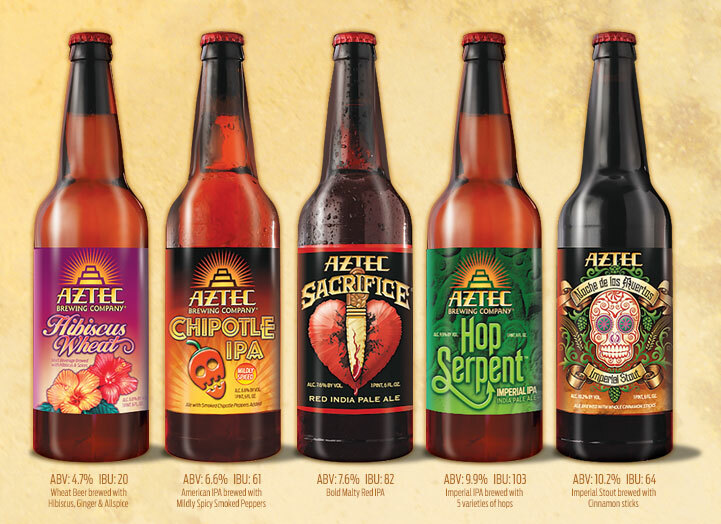 Reviving a historic San Diego beer brand as a contemporary craft brewery presented unique challenges and opportunities. 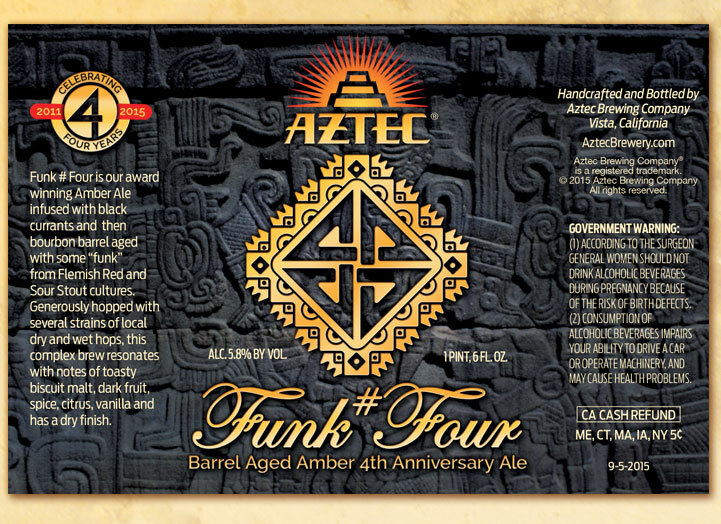 The original branding used the initials ABC. 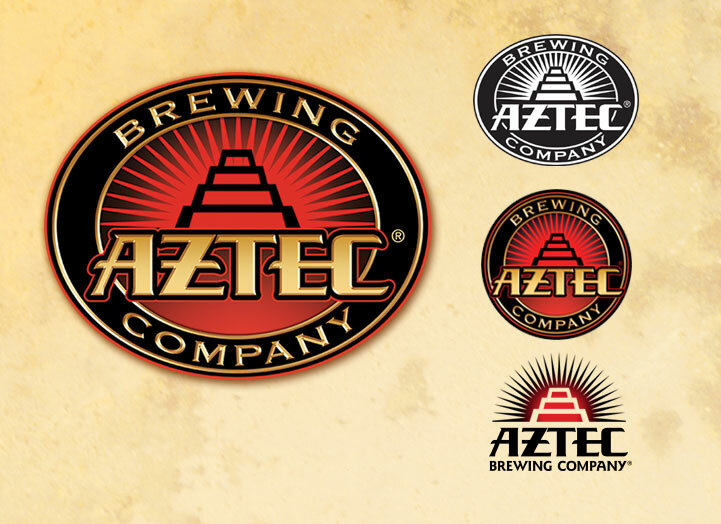 We opted to focus instead on the name Aztec and developed a stylized "A" pyramid in the logo. 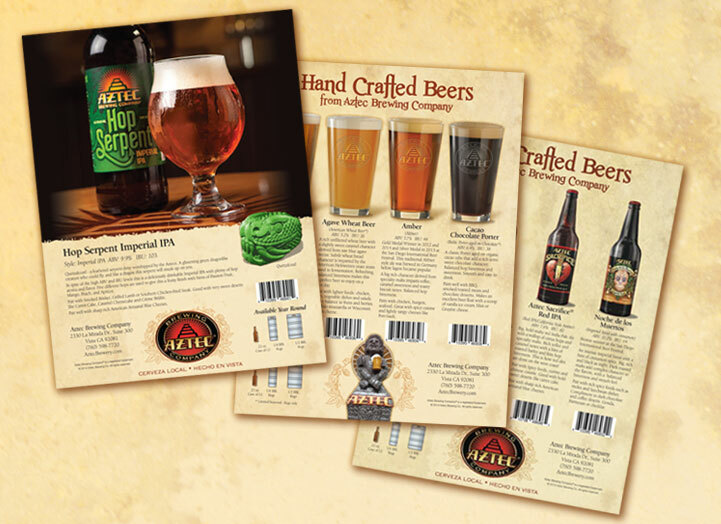 Vintage 1930's fonts were used to create a retro feel and bright bold colors give the packaging a strong presence on shelves. 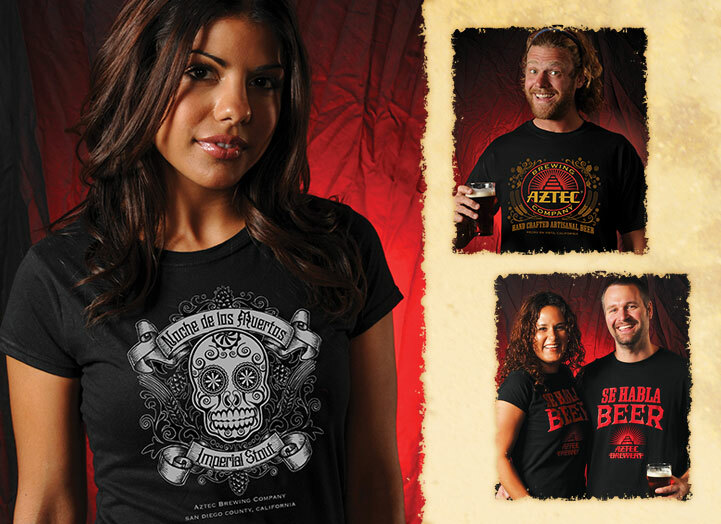 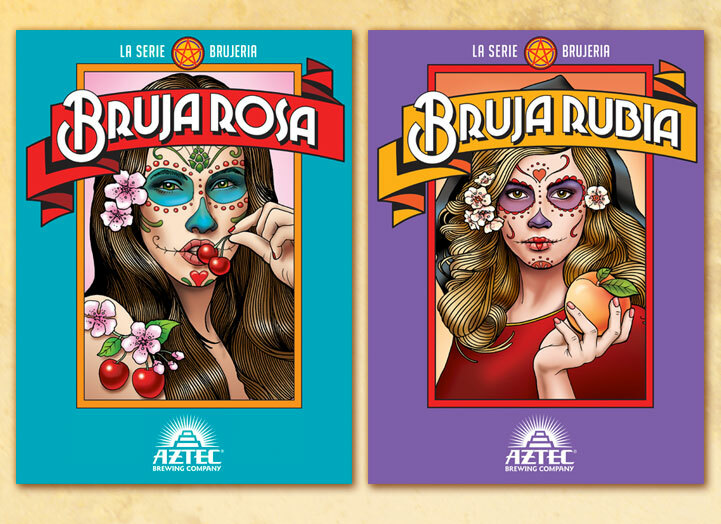 Traditional Mexican imagery was incorporated to enhance the ties to Aztec's name and origins.